Development of a Fuzzy Proportional Integral Derivative (FPID) controller for a laboratory magnetic levitation process is described. The process is unstable and nonlinear, it is impossible to use a classical PID controller which works correctly. The process is very fast: the sampling period is 1 ms. The FPID controller is implemented using the R04 (the iQ-R family) Programmable Logic Controller (PLC) produced by Mitsubishi Electric. Kamil Czerwinski was born in Ciechanów, Poland, in 1991. He obtained his B.Sc degree in mechatronics in 2014 from University of Warmia and Mazury in Olsztyn, Faculty of Technical Sciences and his M.Sc. degree in automatic control in 2016 from Warsaw University of Technology, Faculty of Electronics and Information Technology. Currently he works for Emerson Automation Solutions, Process Systems and Solutions, Reliability Solutions as a R&D firmware developer. His research interests include: advanced control algorithms, embedded systems, Industrial Internet of Things (IIoT), real-time systems and microcontrollers. Andrzej Wojtulewicz was born in Warsaw, Poland, in 1988. He obtained his B.Sc and M.Sc. degrees in electronics, in 2012 and 2014, both from Warsaw University of Technology, Faculty of Electronics and Information Technology. Currently he is employed at the same university at the Institute of Control and Computation Engineering as a teaching assistant and carries out research towards his Ph.D. His research interests include: advanced control algorithms, embedded systems, real-time systems, microcontrollers, Programmable Logic Controllers (PLC) and Field Programmable Gate Arrays (FPGA). He also works for Mitsubishi Electric as an engineer. Maciej Ławrynczuk was born in Warsaw, Poland, in 1972. He obtained his M.Sc. in 1998, Ph.D. in 2003, D.Sc. 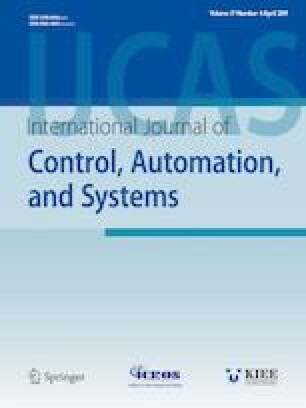 in 2013, in automatic control, from Warsaw University of Technology, Faculty of Electronics and Information Technology. Currently he is employed at the same university at the Institute of Control and Computation Engineering as an associate professor. He is the author or a co-author of 6 books and more than 100 other publications, including more than 30 journal articles. His research interests include: advanced control algorithms, in particular MPC algorithms, set-point optimization algorithms, soft computing methods, in particular neural networks, modelling and simulation.